Virtual Reality or Augmented Reality lets make you next event fun! We do Virtual Reality Events and Augmented Reality Events. VR and AR activation for Brands, Corporate, Businesses and Agencies. Our Company Virtual Reality Rental specialize in Virtual Reality Rentals in South Africa and Virtual Reality Hire in South Africa. Virtual Reality is one of the hottest technologies currently being used to excite people and pull-in clients at events and product activation’s. The cost of purchasing Virtual Reality devices is quite high and renting them from our company allows you to use this advance technology at affordable prices. 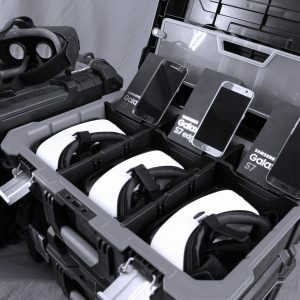 We are the biggest Virtual Reality Rentals company in South Africa and have the biggest inventory and variety of virtual reality gear for hire. If you are looking for something that will allow people to remember and associate with your brand virtual reality is a awesome product and opportunity to excite people and let them talk about Virtual Reality and your brand. The awesomeness of virtual reality is that people see other people interact with something and curiosity takes over and then they want to try it themselves. Part of the success of Virtual Reality at activation’s is that people usually stand in line to wait for their opportunity to try it for themselves. During this time, it gives activation specialists the opportunity to sell the product to clients or talk to clients. We must have done more than one hundred rentals and activation’s for various local, national and international companies. Our equipment is of exceptional quality and we have a wide range of virtual reality equipment to rent. These include low cost mobile headsets like Google Cardboard, No-name Virtual Reality Headsets, the Samsung Gear VR range and also high-end VR devices like the HTC Vive and the Oculus Rift virtual reality headsets. For more information on the Virtual Reality Events that we have under our belt go to our virtual reality events page to view some of our events and VR rentals. The video above also showcase some of the events and VR Rentals we have done in the past! Here is some of the Virtual Reality equipment that we have for hire in South Africa. Our inventory consists of the Oculus Go Virtual Reality headsets, Oculus Rift and HTC VIVE virtual reality headsets. We currently have 10 x HTC VIrtual Reality Headsets for hire. These include high-end computer systems to run virtual reality experiences. The HTC VIVE is one of the best current commercial reality virtual reality headsets in the world. The HTC VIVE virtual reality headset is a 6DOF VR Headset, which means that if the experience allows it you can move inside virtual reality naturally, pick up objects and interact with objects as you would do in the real world. 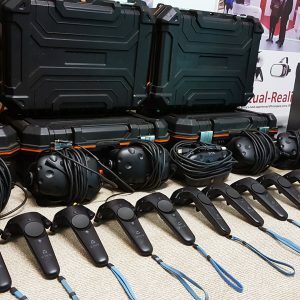 The HTC VIVE is our premier Virtual Reality Rental units and are especially popular at Events and Mall activation or Corporate Training and Team Building sessions. The Oculus Rift virtual reality headset is very similar to the HTC VIVE virtual reality headset as above. The headset is more aimed at a home market than it is meant to use for Virtual Reality events and activation where a lot of people use the virtual reality headset. 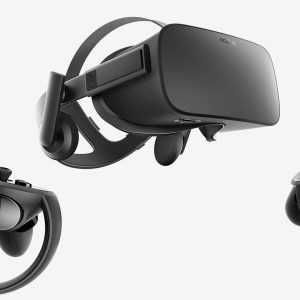 That said we do rent out the Oculus Rift virtual reality headsets and we have the necessary computers to run the Oculus Rift virtual reality headsets. The Oculus Rift headsets works with Camera tracking instead of Base stations which uses infra-red like the HTC VIVE. If you are interested in hiring a Oculus Rift virtual reality headset talk to us today and we can make it happen! The Oculus Go is one of the Best Wireless 3DOF Virtual Reality headsets on the market for Events and Pop-Up Cinemas where you would like to show 360° Video to clients. The Oculus Go doesn’t allow for 6 DOF Virtual Reality and doesn’t allow for room scale virtual reality. In general the user is a spectator in virtual reality and cannot walk around and pickup objects in virtual reality. The Oculus Go virtual reality headset is a all-in-one virtual reality headset and doesn’t need a separate computer for it to work which makes it effortless to operate. This is a benefit as well as a disadvantage compared to the HTC VIVE and Oculus Rift which are both computer driven and provides higher quality and more interactive experiences. We have a collection of Samsung Gear Virtual Reality Headsets for hire as well as Samsung S7, Samsung S8 and Samsung S9 phones. The Samsung Gear Virtual Reality headsets works with Samsung S Series smartphones. 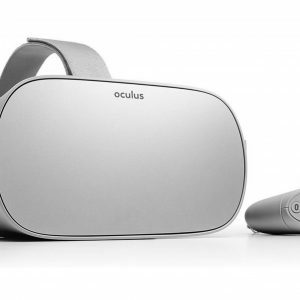 Today we prefer to rent out Oculus Go units instead of the Samsung Gear VR units as these units are not exclusively built for Virtual Reality. We highly recommend the Oculus Go units above the Samsung Gear VR units but can still supply these units to companies interested in renting the Samsung Gear VR units. Talk to us today if you are interested in renting any of our Virtual Reality headsets or VR equipment.